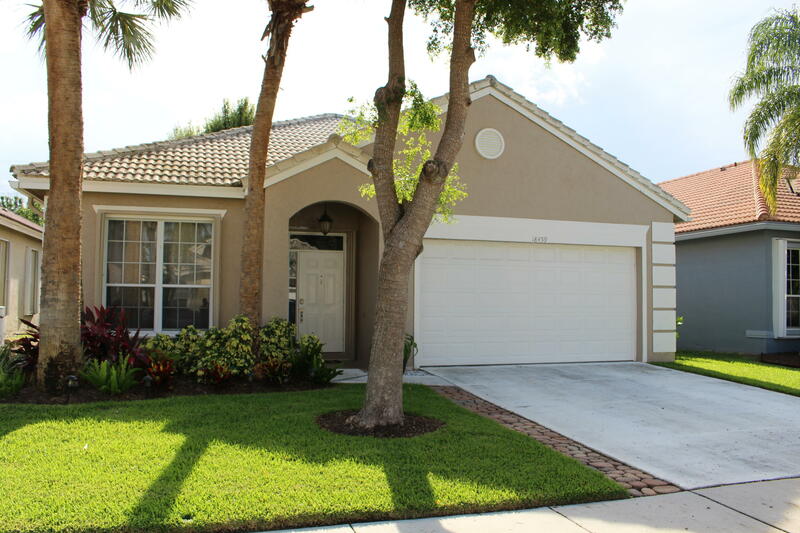 Beautifully renovated three bedroom, two bath, split bedroom home in desirable Lakes at Boca Raton neighborhood. Kitchen has dark wood cabinets, granite counters and stainless steel appliances with an oversized island that is open to family room and is perfect for entertaining. Porcelain wood look floors in all bedrooms. No carpet. Newer AC, New water heater and accordian shutters on all windows. Huge backyard with no rear neighbors. Community tennis, basketball and pool. A rated schools and close to great shopping. Walking distance to Burt Aaronson (South County) Park with waterpark, sports fields, nature walks, dog park and amphitheatre. This is the perfect place to call home.